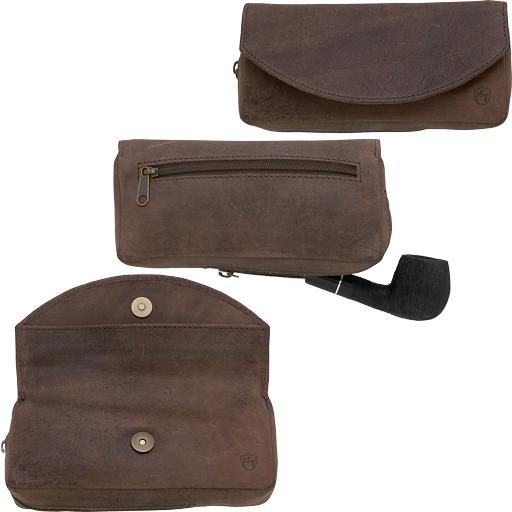 Brown Distressed Leather Combo Tobacco & Pipe Pouch- Discounted. Your Price: $39.95 NEW ITEM!!! Brown "distressed" Leather Combination Tobacco Pouch with magnetic snap closure and rubber lining. Zipper compartment on reverse. Holds 1 pipe (not included). 6 1/2" wide x 3 1/4" tall when closed. Made in India.